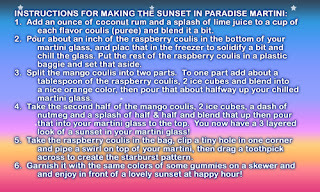 This cocktail came about from a little brunch memory lapse but sometimes that means a happy accident. What was a missed opportunity for my brunch became a pretty delicious martini the next day. 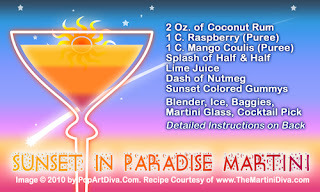 Simply replace the Coconut Rum with non-alcoholic Pina Colada Mix or sweetened Coconut Juice. Enjoy it while sitting out and watching the sunset today - never miss a sunset if you can help it. 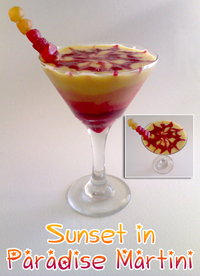 Cheers & May the sun set on a wonderful day for you.